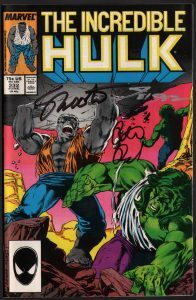 Signed by issue writer Peter David, cover artist Steve Geiger, and Marvel editor in chief Jim Shooter, this copy of the Incredible Hulk is in very fine/near mint condition and will be shipped with the utmost care. Please note- the signatures are real. 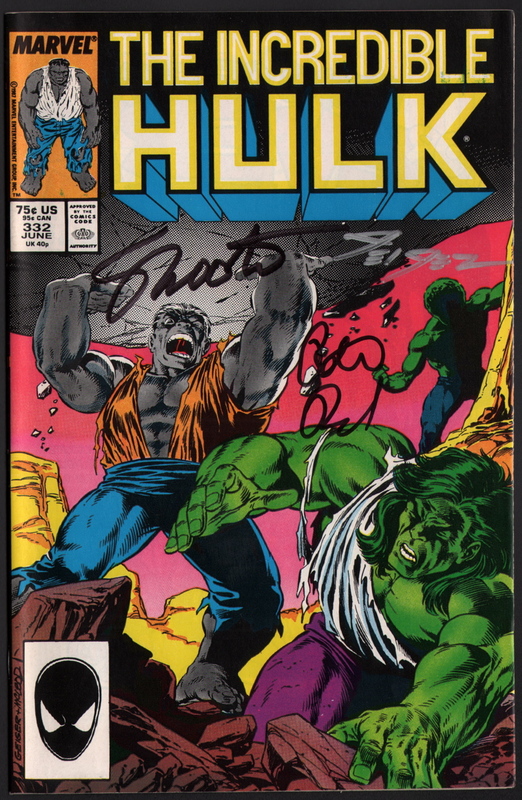 The comic is signed by hand by the comic creators stated. 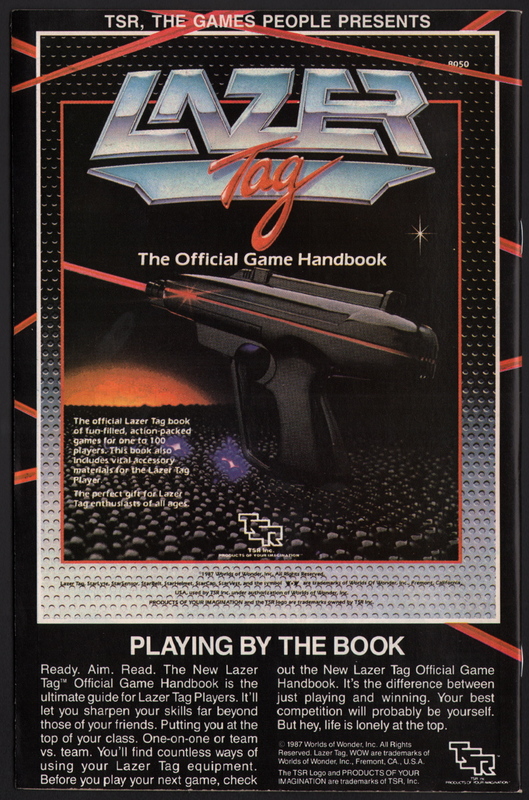 They are not pre-printed images on the comic.